HUGE ANATOMETAL SHIPMENT IS HERE! I have received a HUGE shipment of Anatometal clusters and navel curves to my piercing and body jewelry studio located at 4818 Lee Highway in Arlington, Va.! 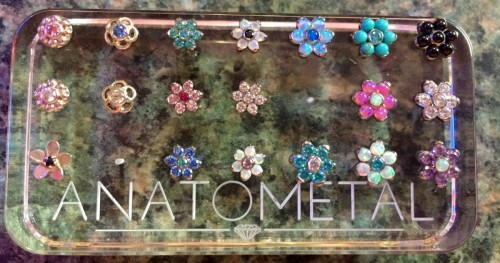 Anatometal is made in the USA with all implant grade titanium and beautiful opals and gemstones. The jewelry is guaranteed for life against manufacturer defect. Stop in and pick up a piece for your new or existing piercing!! !